The EMMA™ Belly System solves the greatest ergonomic challenge in surface preparation – sanding overhead. 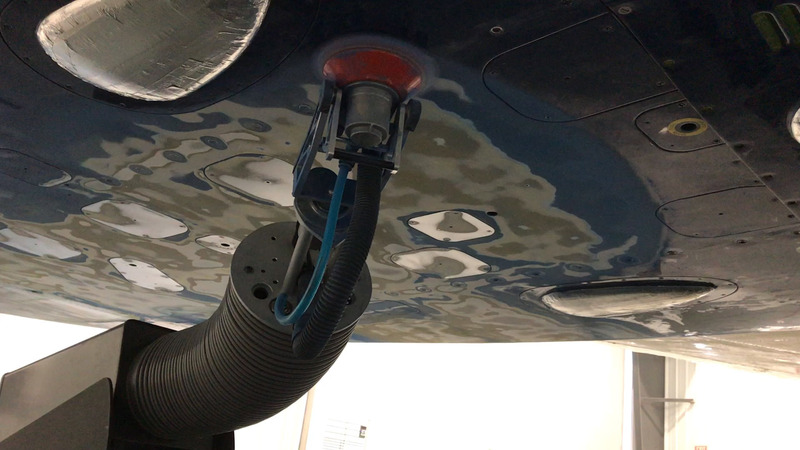 EMMA allows the operator to comfortably sand the belly of an aircraft, underneath a wing, or any other overhead horizontal surface. The operator sits in the EMMA's adjustable reclining chair and controls the system via the Joystick Box. The EMMA Belly System is typically used for the underside of medium to large sized aircraft (fuselages, wings, or horizontal stabilizers). Click here for EMMA Belly Systems Brochure.